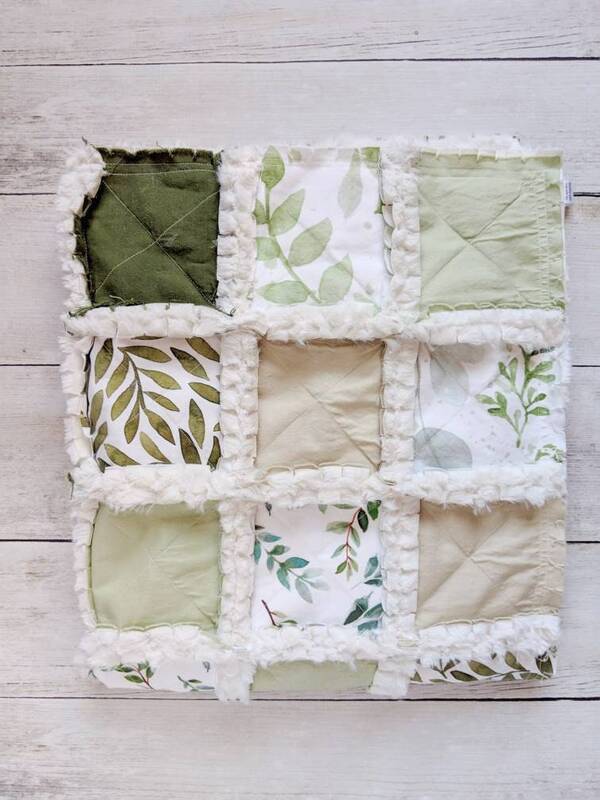 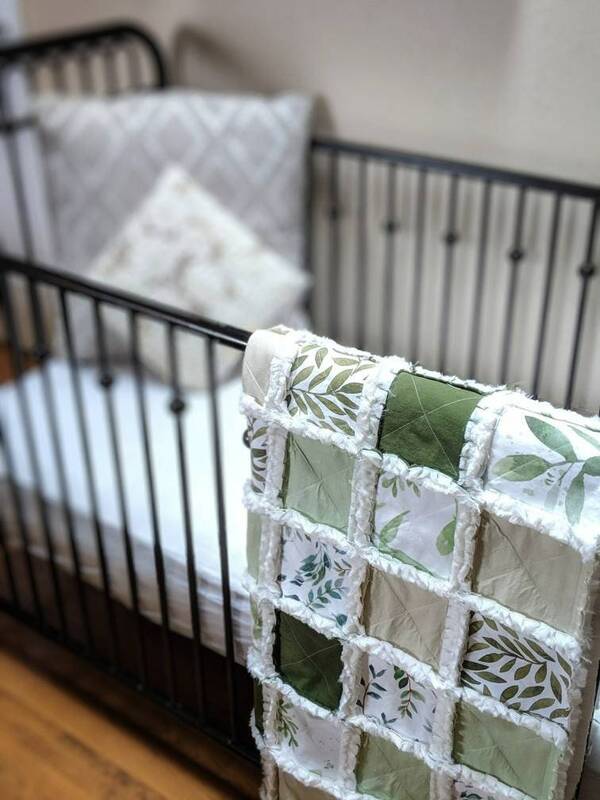 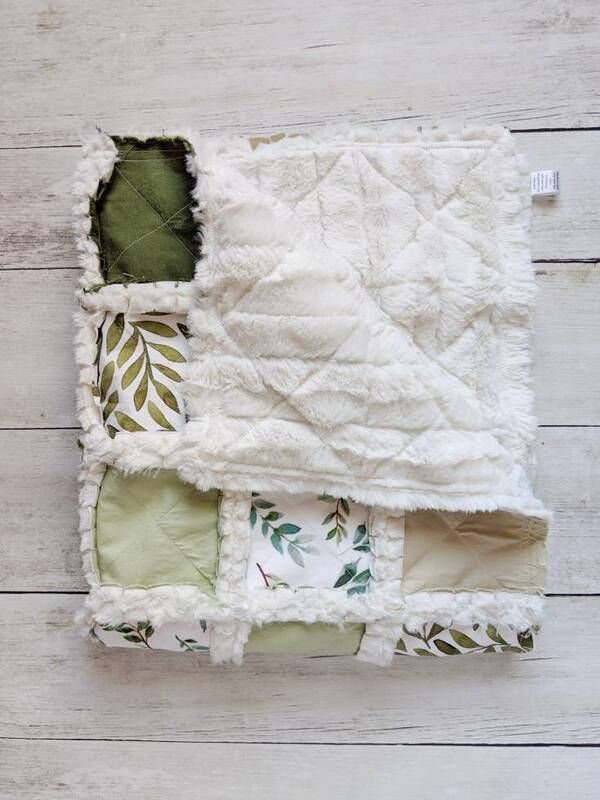 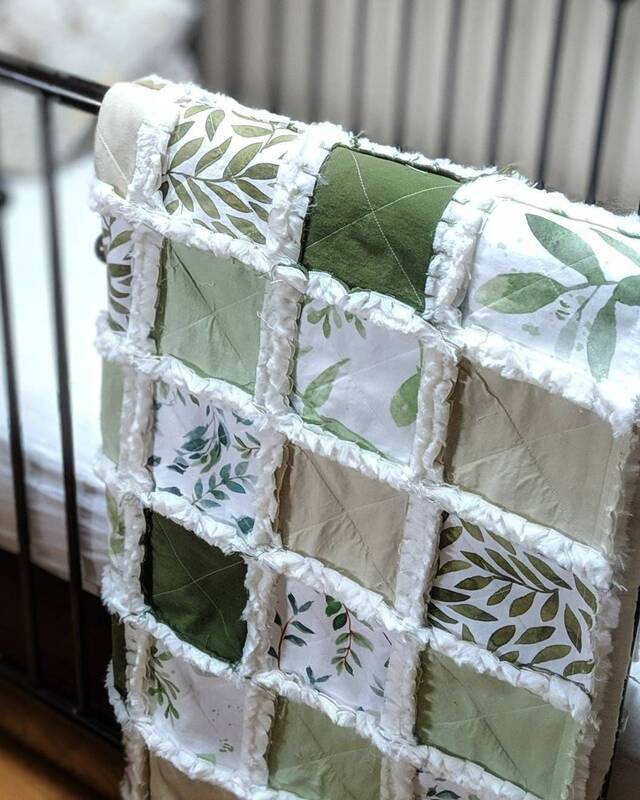 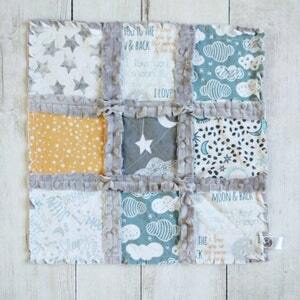 With calming, peaceful green fabrics, this quilt will be perfect for your little ones nursery. 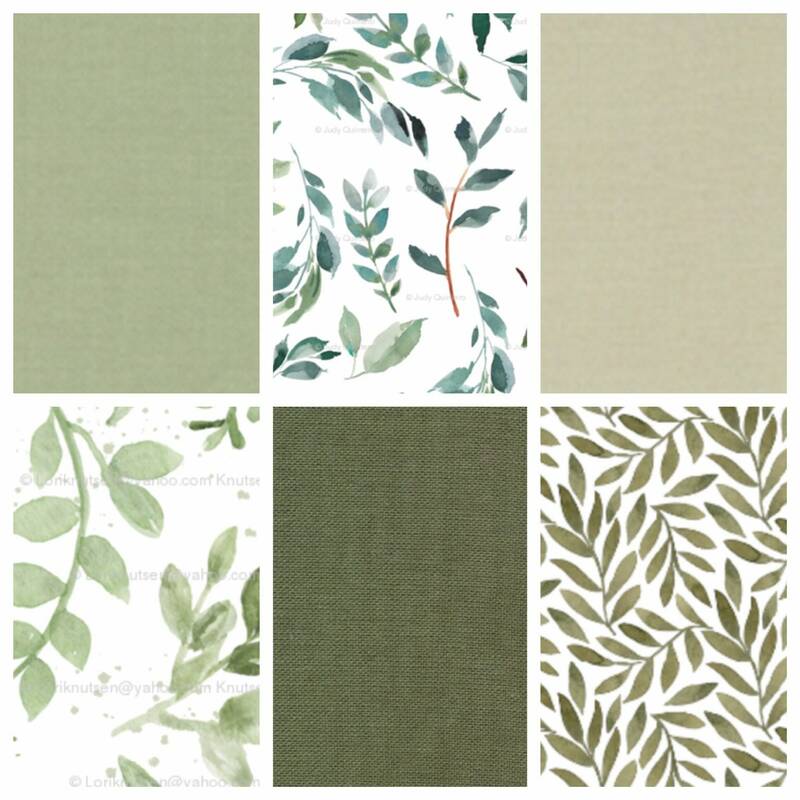 The shades of green with green foliage are great for keeping the nursery gender neutral, bright, and airy. 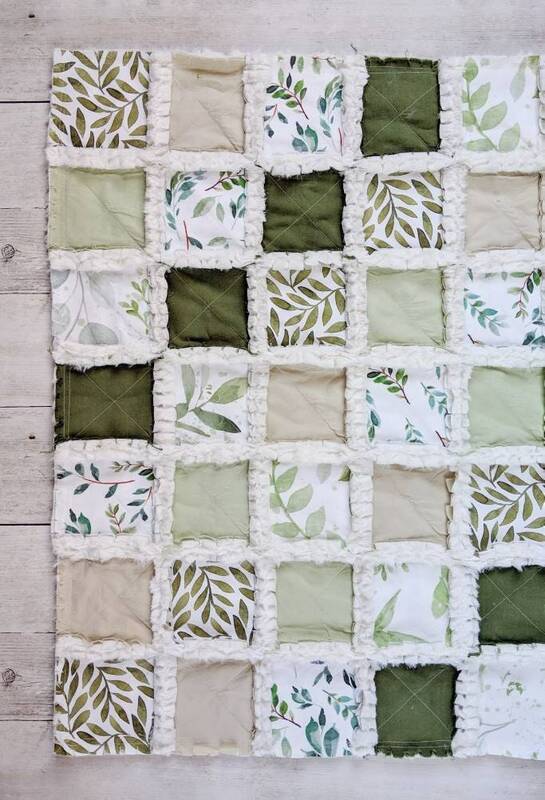 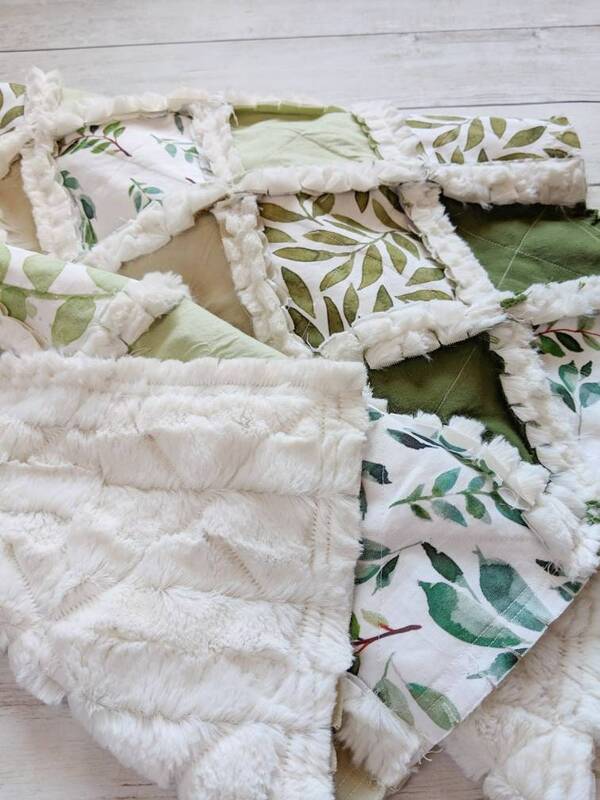 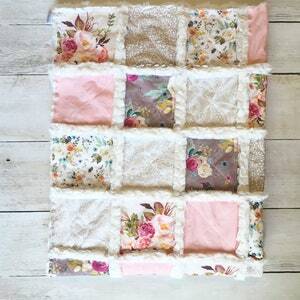 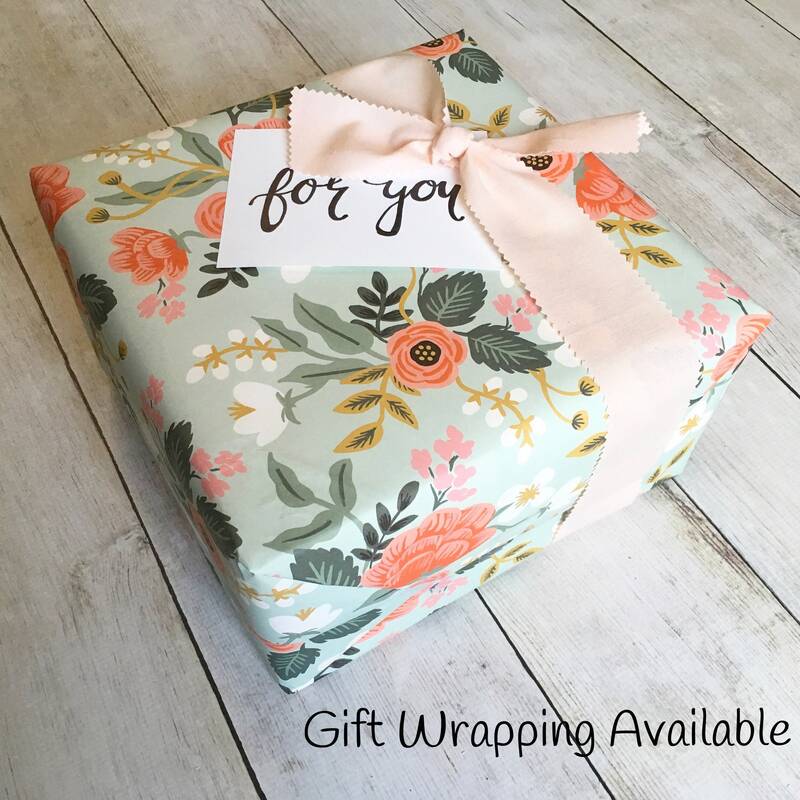 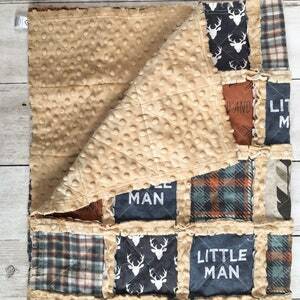 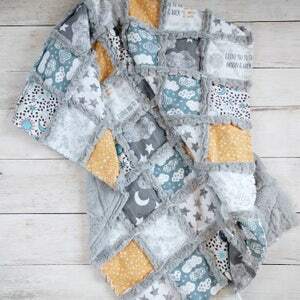 This quilt will be made with a fluffy ivory minky, perfect for snuggling!